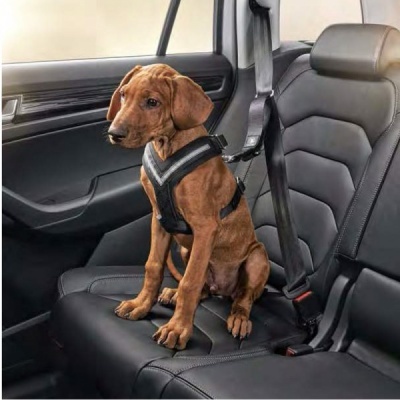 Genuine Skoda dog safety belt - Size M (see measurements below). 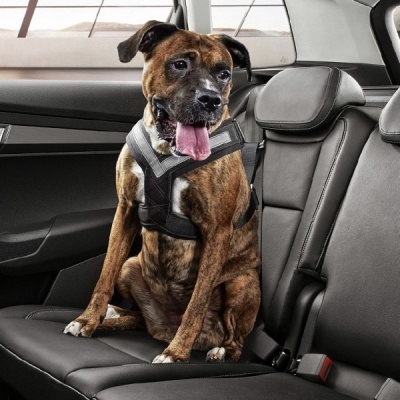 This dog safety belt from the ŠKODA Original Accessories range is an essential piece of equipment for anyone who regularly takes their four-legged friend on the road. 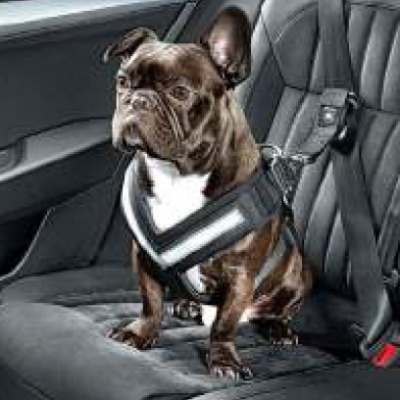 It is fitted around the dog‘s chest and fastened to the vehicle‘s seat belt. suddenly or swerve to avoid an obstacle. The safety harness can also be connected to a lead, so you can use it to take your dog for a walk or when training your dog. 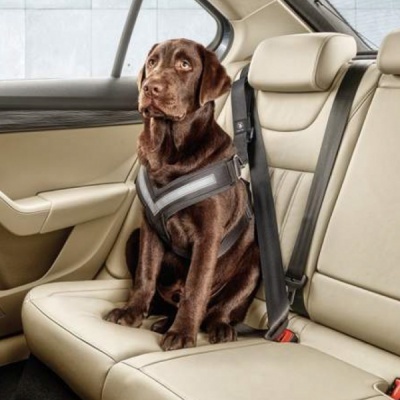 Although this dog safety belt is a Skoda product, it can be used in any vehicle. Size M (other sizes available). Please order the size appropriate for your dog. Neck circumference, measured in front of the front legs: 60cm - 74cm. Please Note: The image is to show the product and is not suggesting that this size of the product is suitable for this breed of dog. Hand wash in water at 30 °C. Do not tumble dry, do not iron.